Questions can include Media such as images, sound or video. Additionally, labels, hints, and choices in an XLSForm can all be styled using Markdown, fonts and colors, and Emoji. You can include questions in your form that display images or that play video or audio files by including a media column in your XLSForm. XLSForm supports limited used of Markdown. 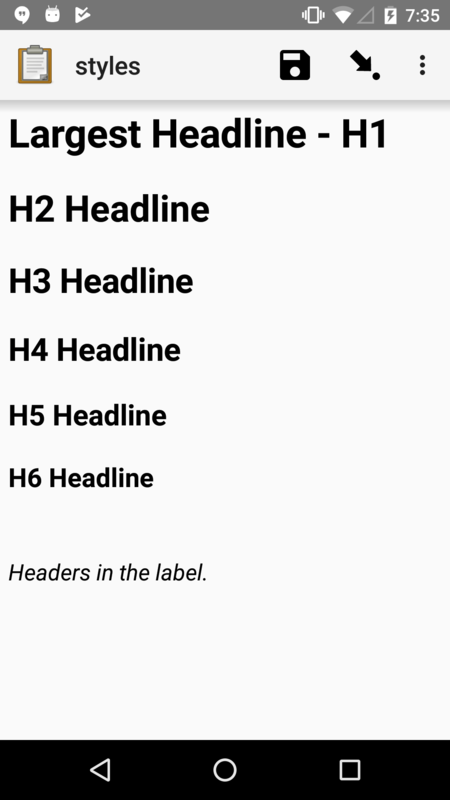 Labels and hints can be styled with one of six header levels. A comparison of headline sizes. 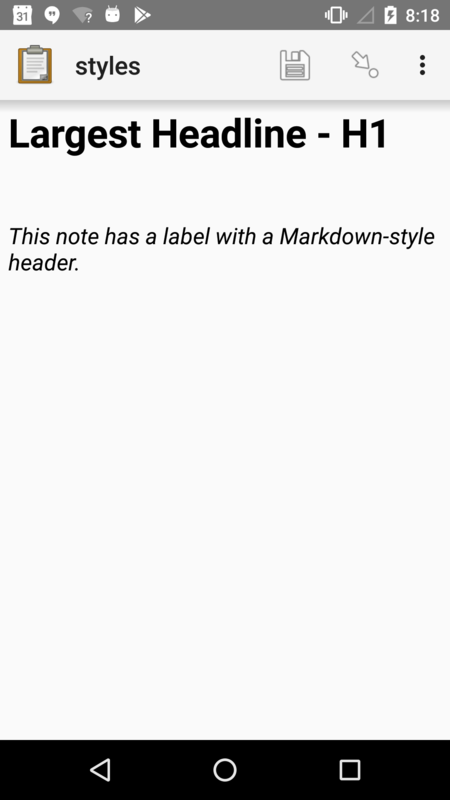 This exact effect cannot be produced using Markdown. 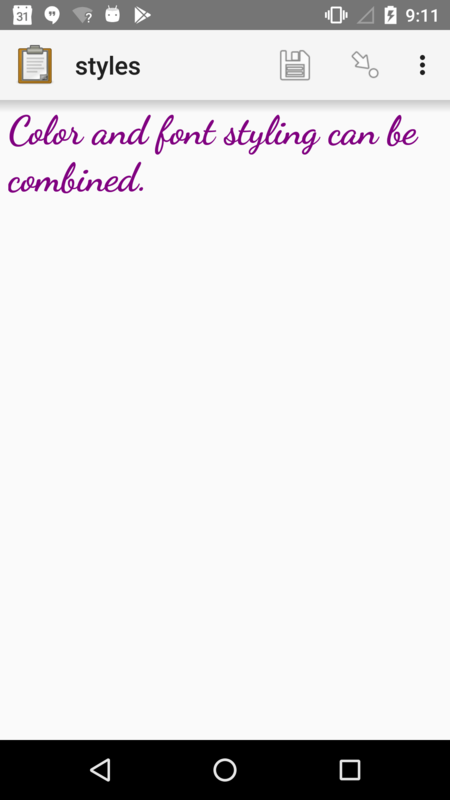 If a Markdown header is used, the label or hint can only be one line of text. Line breaks in the XLSForm cell will break the header styling. Here is some text below the headline. Collect's Markdown support also includes bold and italic styling. note emphasis This label has bold and italic text. 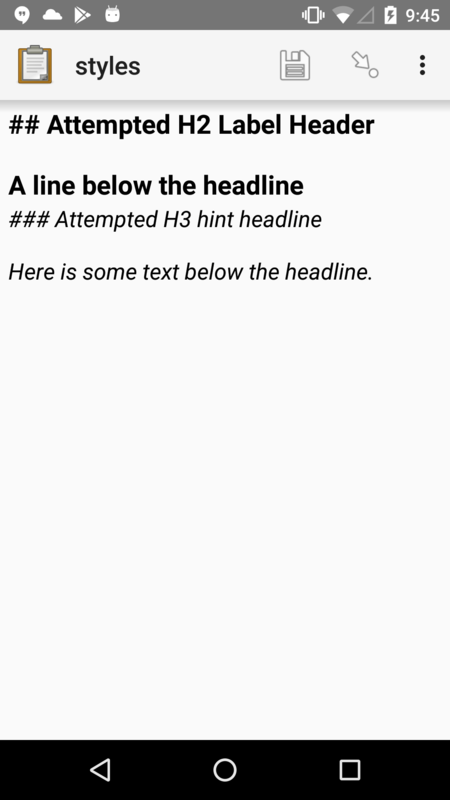 This hint has bold and italic text. 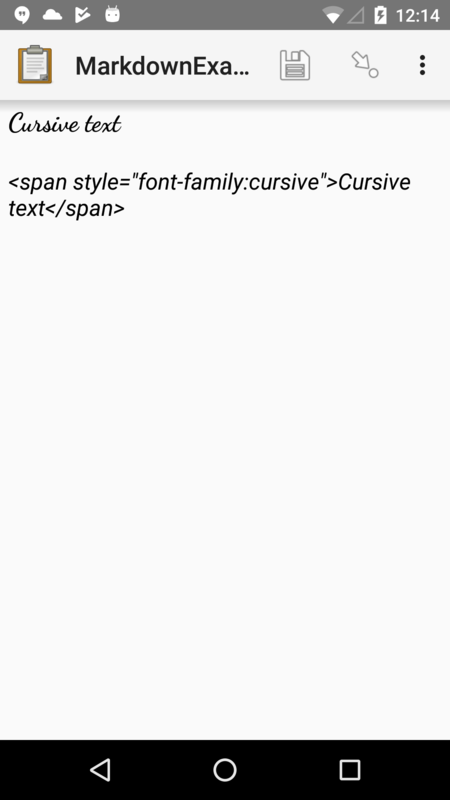 Collect's Markdown support include hyperlinks, which will open in the device's default browser. 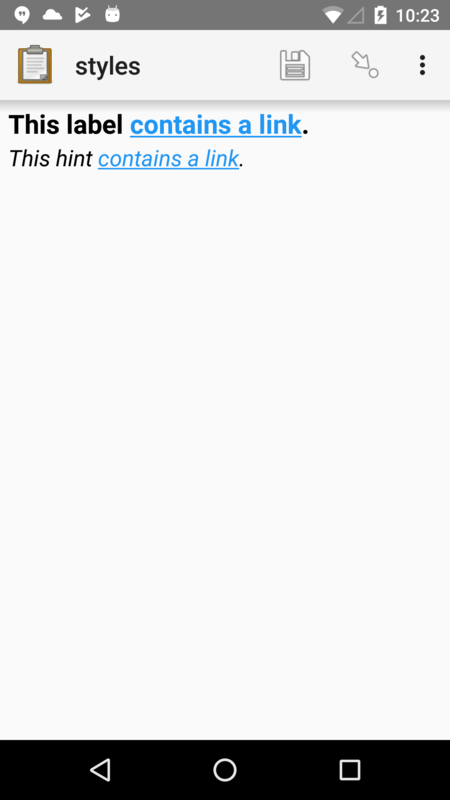 note hyperlink This label [contains a link](http://example.com). 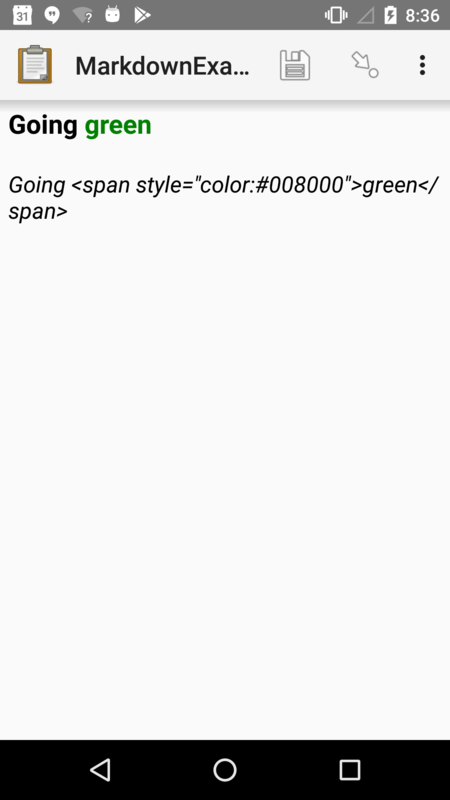 This hint [contains a link](http://example.com). If you want to include literal asterisks or underscores, escape them with a back-slash (\). If you want to include a literal back-slash, you'll need to escape that too. Your exact Android device, operating system version, and other device-related factors will affect what HTML can be rendered, and how it is rendered. HTML is not supported by other form rendering tools in the XForms ecosystem. For example, HTML elements that work in Collect may not work in Enketo. 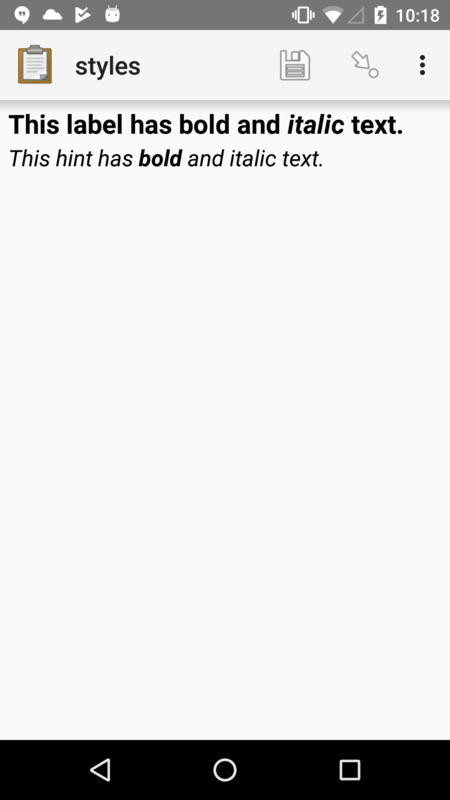 For these reasons, we do not recommend using HTML in forms (except the <span> element noted below). The list of HTML tags currently supported in Collect. To add custom styling to hint, label, and choice labels, use the style attribute on a span tag. The style attribute accepts CSS-like key-value pairs for setting color and font-family. 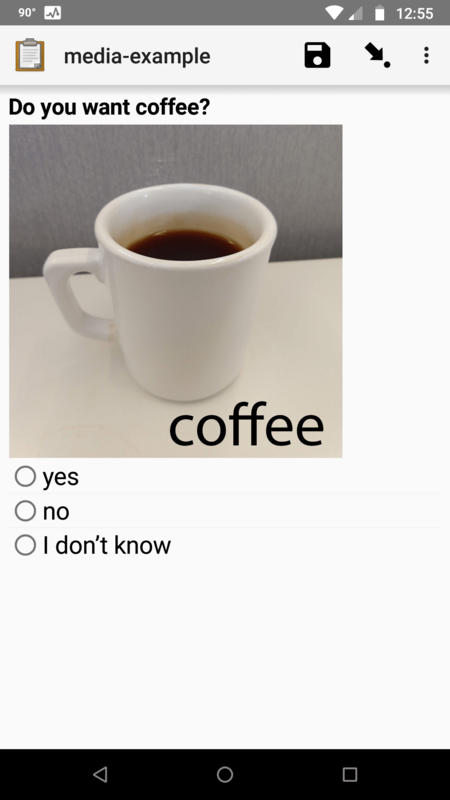 select_one yn colored_choices Formatting works on labels for Choices also. 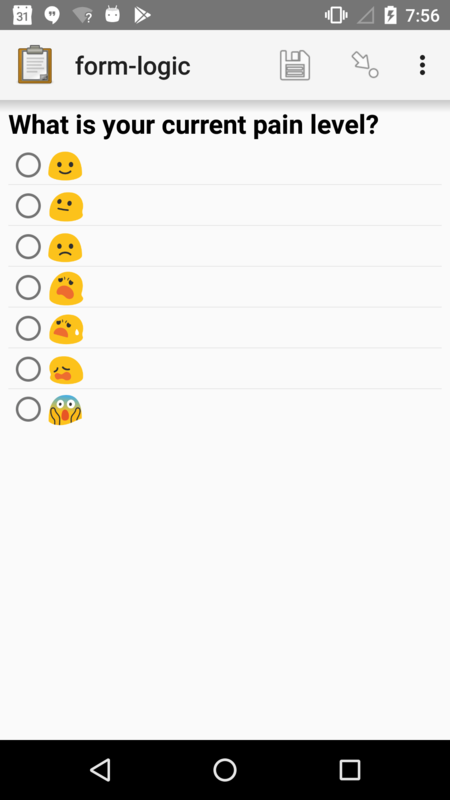 Emoji can be used in form labels, hints, and answer choices. The exact visual representation of each emoji character is controlled by the device operating system, and may vary from device to device. 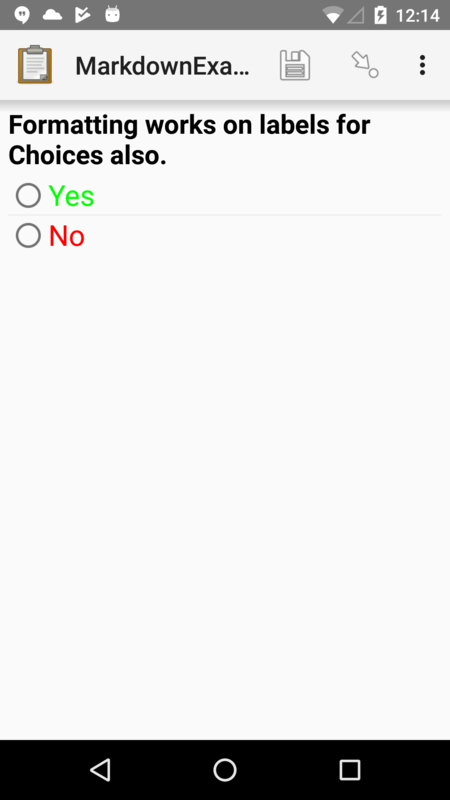 If possible, you should check how your rendered forms look on the devices you are using for data collection. select_one pain pain_level What is your current pain level?